Today Zoho announced major updates to Zoho One, its flagship suite of applications designed to put businesses completely in the cloud. Launched in July 2017, this all-in-one solution includes apps that run sales and marketing, finance and HR, operations and business intelligence. One year later, Zoho One is enabling a new set of capabilities that bridge the gap between different departments and roles within an organization: Zia—Zoho’s AI—can now respond to user queries by combining information from multiple apps; Zoho One’s new Analytics delivers a deeper, more contextual picture of business operations by blending data from apps across the suite; and a new unified Search feature can execute across multiple applications, bringing back richer results that significantly reduce the time and effort needed to find the right data. The company also announced Zoho One adoption numbers for its first year on the market: more than 12,000 business worldwide—with 40 percent from the US—have become Zoho One customers. The average Zoho One customer enables 16 applications for their business, often replacing software from different vendors, preferring instead to run their business from a single cloud platform. The company has added four new apps to Zoho One in the past year—Cliq, Zoho Sprints, Zoho PageSense and Zoho Flow—and today, they are introducing Zoho Backstage (link), an end-to-end event management software, which is being added to the suite at no additional cost. Analytics: The new Zoho One Analytics tab provides analytics across Zoho’s suite of transactional business apps. Business owners, CXOs and managers can now track KPIs and trends all from one place, helping them to make more informed decisions. Users can create their own custom reports and dashboards to blend data from different business apps and do cross-functional analytics. For example, a marketer could combine data from Zoho CRM and Zoho Campaigns to see how many leads were created from a particular campaign and how much they cost. Currently, there are over 500 pre-built reports and dashboards available across applications. Users can also import data stored in third-party applications and analyze it along with the data from Zoho’s internal apps. Zia for Zoho One: Zia, the AI-powered assistant first introduced by Zoho CRM in 2016, is being extended to Zoho One. Zia for Zoho One functions across various applications, pulling data from different departments to provide the right contextual information. Using simple commands, Zia can handle complex queries. Pulling information from Zoho CRM and Zoho Desk, Zia can tell users how many customers in the sales pipeline have an open support ticket. Similarly, Zia can generate a chart that displays revenue-per-employee trends for the last five years by fetching figures from the accounting app and the human resource management app. Zoho also plans to open up the Zia Voice Platform for Zoho One users, allowing them to extend Zia with custom skill sets built to address their unique needs. Zia Search: On average, knowledge workers spend 30% of their workday searching for information, according to an IDC research paper. The new Zia Search lets users search across all their Zoho apps instantly, dramatically improving information access within the organization. Zia Search was built from the ground up with an understanding of each application’s domain, design and authorization rules, making it possible to display a more relevant, richer set of results. Zia Search also offers a results preview as well as contextual actions so users can utilize their results without having to leave the search window. Mobile app: The Zoho One mobile app—for both iOS and Android devices—allows organization administrators and service administrators to onboard new employees, provision applications, manage permissions, set security policies, create groups and more, all from their mobile devices. With this app, admins can even take care of time-sensitive requests, like resetting a password, when they are away from their computers. Zoho Concierge: Launched last year along with Zoho One, the Zoho Concierge is a free service available exclusively to Zoho One customers. Since its inception, this dedicated 24/7 team has helped more than 6,500 customers by mapping their business processes and advising them on how best to optimize Zoho One for their particular needs. 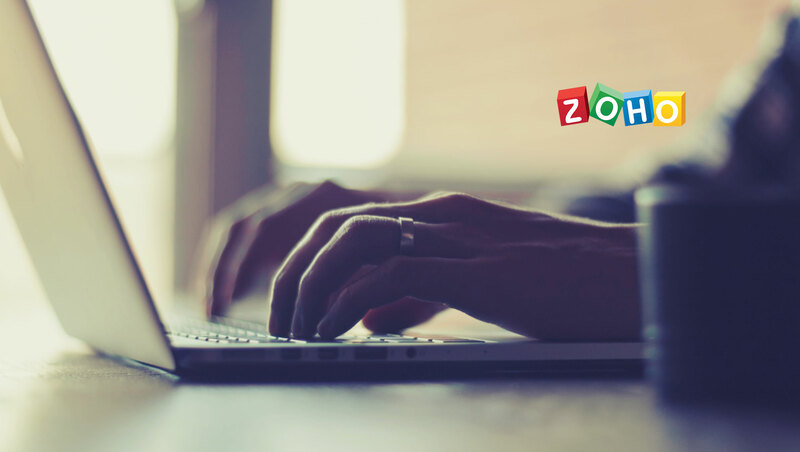 Zoho One is available for $30 per employee per month. Businesses must purchase a license for every employee in their organization to get this pricing. Zoho One is currently available worldwide, in multiple languages. Users can sign up for a 30-day trial version of Zoho One at zoho.com/one. Zia for Zoho One and the mobile app are not currently available. The Analytics feature will be rolled out in phases, whereas Zia Search is available immediately at search.zoho.com.